"Understanding our clients’ perspective and their needs is critical to the success of our own business. Our partnership with NIH Research has proven to be paramount in providing this insight." In every industry, repeat business from existing clients is the key to long-lasting success. This is truer in the Healthcare Industry than in practically any other. Your best customers will always be the ones you can count on to be loyal to your company’s products and services. To find out how satisfied these clients are with your current efforts, NIH Research & Consulting can conduct neutral, third-party research on your behalf. From our results you’ll be able to see whether you need to cultivate your existing relationships or if you’ve established a strong base of customers from which you can start expanding your reach to new clients. NIH Research can even evaluate your “lost customer” list to assess why that opportunity wasn’t maximized and what steps can be taken for future market strategies. Customer loyalty and customer satisfaction are influenced principally by two factors. The first factor is having their vendor or vendors resolve their “real” problem or problems. The second element of customer satisfaction is more abstract and involves the perception that their vendor or vendors care or listen to them. 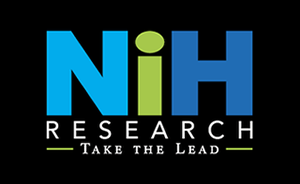 NIH Research & Consulting is an early warning system for vendors by helping them measure levels of satisfaction or dissatisfaction within their customer bases.